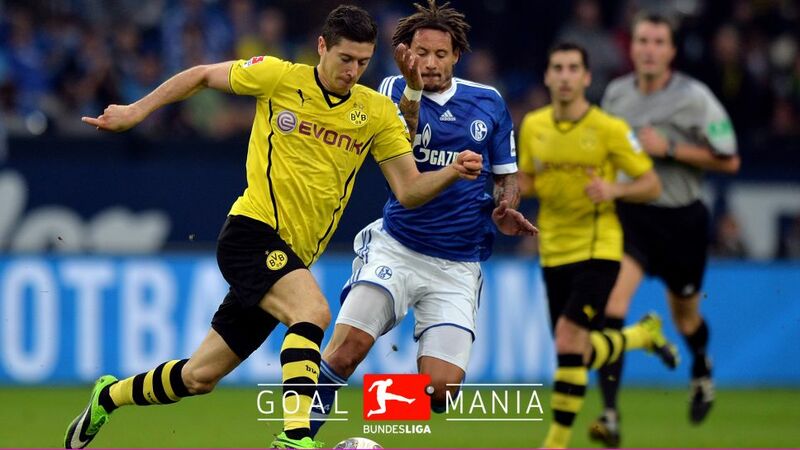 Saturday sees the 150th competitive edition of the Revierderby, pitting together two of Germany’s biggest and most-traditional clubs - FC Schalke 04 and Borussia Dortmund - in what many consider the Bundesliga's biggest rivalry. Between the emergence of Dortmund starlet Christian Pulisic and the young US-born trio of Haji Wright, Weston McKennie, and Nick Taitague honing their talent in Schalke’s vaunted youth system, bundesliga.com looks back at the eight US-international players to have played for one of the North Rhine-Westphalia neighbours. Then: Played for Schalke from July 2007 to January 2014, scoring seven goals in 129 Bundesliga appearances. Now: Plays for Major League Soccer side LA Galaxy. The Frankfurt-born Jones broke into the Bundesliga with his hometown Eintracht Frankfurt before moving on to Schalke via a brief stopover at Bayer Leverkusen. The stalwart defensive midfielder is the most-experienced Revierderby participant among US internationals, facing Dortmund seven times as a Royal Blue. Trivia: Jones made three appearances in the German national team under coach Joachim Löw before using a FIFA allowance to switch national team allegiance to the United States. Then: S04 from July 1995 to July 1997, with three goals in 28 appearances. Now: Head coach of the Philippines national team. Dooley broke into the Bundesliga in 1986 by helping FC Homburg 08 win promotion from the Bundesliga 2. Dooley made just one Revierderby appearance for Schalke during his two seasons in Gelsenkirchen. The central defender was also a part of the team that won the UEFA Cup in 1997. Prior to joining Schalke, Dooley won the DFB Cup in 1990 and the Bundesliga title in 1991 with 1. FC Kaiserslautern. Trivia: Dooley was inducted into the United States’ National Soccer Hall of Fame in 2010. Then: S04 from July 1993 to July 1994, making six appearances. Now: Professional staff coach for Dallas Rush FC youth development system. Deering landed at Schalke after being unable to earn playing time with Werder Bremen. Borussia Dortmund were not among the opponents in Deering’s six appearances for Schalke during his only season with the Royal Blues, though he did make the bench for Schalke’s 1-0 home victory in August 1993. After a few seasons in the lower leagues with Kickers Emden, Deering finally found success in Germany at VfL Wolfsburg in 1996, helping the Wolves to a second-place finish and promotion to the top flight. Trivia: Both Deering’s first cap as a US international and his only World Cup appearance came against Germany. Check out Dortmund's US connection.